Creating an itinerary template is a great way of trip planning. Each and every one of us tries to plan everything ahead of time despite the vague future. We plan when to marry, where to travel next summer and what to eat in the evening. Let’s stop at the point where we anticipate our travel destination and itinerary. Planning is almost a must if you want to enjoy your trip. However, it may sometimes seem unbearably tough and time-consuming process to schedule your trip from head to toe. That’s the case when a perfectly orchestrated itinerary template would come to help. There are multiple ways to find an itinerary template. However, in nowadays technological upgrades the traditional pen and paper approach is gone. Even the offbeat templates available on the web and spreadsheet tables are already out of date as there have been created super-smart tools which allow making trip plans in minutes. TripPlannera is one of the newest tools which offers online itinerary templates where you can create and modify your own one and share it with your friends. There are several steps to follow to create a perfect itinerary plan with TripPlannera. Here you can find a comprehensive guide as to how best plan your trip and make an itinerary template. The choice of the right destination is the first and foremost point in traveling and planning. Choose the city that best fits your preferences, intentions, budget or dreams. If you are wavering on multiple options, there are useful tips which can help you jump to a faster decision. Firstly, you can take a world map and tick the cities where you’ve already traveled and outline the ones you’d wish to. The map would inspire you or give you ideas that had blown out of your mind. Another option is to actively engage in some travel forums where experts and frequent travelers would give you good advice. Try out Tripadvisor Forum. When your travel destination is confirmed, it comes the time to choose the dates. Here, as well, take into account some factors. Master beforehand the special treats of the city as each of them has its secrets and best times to unveil them. Check for the “velvet season” as a bad weather may ruin all your wonderful perceptions of a city. And last but not least, dismiss the city during touristy seasons if you want to escape the masses. One of the core aims of trip planning is to come up with an approximate sum of your spendings. Consider your budget before anything else. It will also help you to determine your trip dates and destination faster. Your perfect trip itinerary should match your preferences as well as your travel type. A well-organized itinerary plan should take into account a number of things; whether you are traveling with your family and kids, for a romantic outing, or if you are keen on the best food and drink, nightlife or you feel more culture-oriented and nature person. For each type of trip, the itinerary plan and the following list of activities would drastically differ. Hence, be sure to choose your travel buddy and your trip style beforehand. A foremost step in trip planning is to ignite the passion in yourself towards your trip and destination. Inspiration is the grand motive of your actions, so boost it as much as you can before hopping on board. There are a bunch of platforms such as Pinterest and Behance, where you can design your inspiration board regarding various destinations and things to do. If you have already decided the particular city or country you want to visit, you can build a city board and pin all the catchy attractions in it. If not so, these websites would surely help you to come up with the best option. We have come to the point where we know where and when to go, with whom to go, what to see and the time for a thorough planning has arrived. Use TripPlannera ready-to-use templates to plot your trip perfectly. Fill in your dates and destination and have the template instantly on your screen. There are many details to allow for when planning your trip and stocking a template. A perfect one should consider every single ingredient in it. As you opt for your preferred attractions, you should get to know the distances between them and choose the right transport. Moreover, it would be better to do some research in advance about the ticket prices and various passes, as you can find combined tickets which will grant the possibility to enter two or more attractions with a single one. Another major tip to follow when building your itinerary template is to know the best times to visit an attraction. That is, if you plan to step into the Red Light District or to watch a fountain show, an evening or midnight visit would be more than good, and you’d better place these spots down the day end of your plan. Hence, dig for some information about suggested visit times to get the most of your visit. Every sight and landmark has its treats and tricks and knowing them beforehand would be a great plus. Be sure to contribute to every attraction enough time, however, do not overstay there and get bored. Eating is firstly a necessity to keep you fresh and vibrant. Sometimes, we get so excited and passionate about our itinerary and the adventures on our way, that we forget to envisage some time to eat. So, you should consider leaving some window for a lunchtime and dinner at least. It would be even better if you learned about some great local restaurants and cafes beforehand to try out when there. A map view of your plan would surely give you many thoughts on how to better your itinerary. When you see the places to visit pinpointed on the map, you will do the right grouping of your activities. Try to attend the ones which are near to each other on the same day and contribute a day trip to the ones out of the city. Do not just cover all the must-see spots, but go further and find out all the events and festivals on the dates you are in the city. Whether it’s the concert of your favorite rock-star or a traditional local feast, you would enjoy it out of doubt. 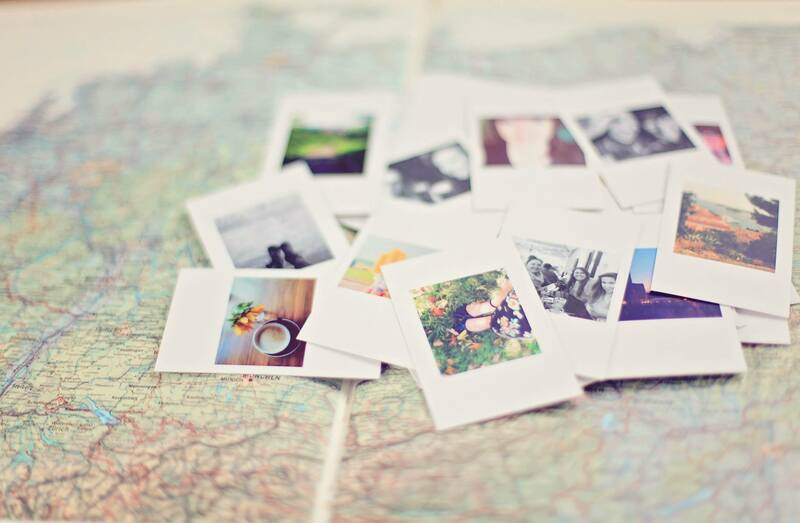 Thus, choose your best-loved ones and include them in your itinerary template. When you have sketched your perfect itinerary template, it is the high time to reserve your place at every attraction on your plan. Book the skip the line tickets, reserve tables at the restaurants on your plan and get to know the city passes offering great deals and ways to savor the city. Finally, we have arrived at the top point. Planning is a great way to make the most out of your trip, however, overwhelming your day and overscheduling your timetable would be somewhat embarrassing. Better leave some room for spontaneous discoveries, as every place in the world shelters in itself a mystery that you can’t find in the net. Walk on your own and explore the energy bursting from every city. Now you are ready to create your itinerary. Find great templates on TripPlannera where every single detail mentioned above is taken into account. Get to know the top things to do, restaurants, events, make necessary bookings and add them to your template. You have just to fill in your dates, destination and the attractions on your board. And voilà, everything else is done. The tool will instantly build a day-by-day itinerary, sketch it on the template and plot it on the map.